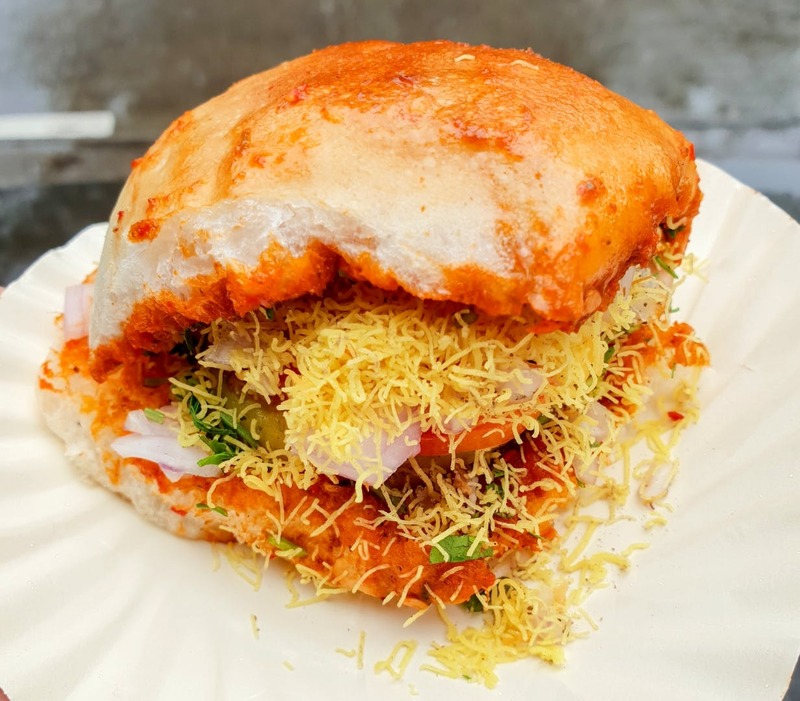 Dinesh Pav Bhaji, a street-food stall located about 200 metres away from Aura Hotel in Yogi Nagar in Borivali serves a unique chaat item called Aloo Pattice Pav. Desi pav tossed in spicy chutney, stuffed with an aloo pattice and fresh veggies, served with green chutney and sev. Makes your mouth water, doesn't it? Very nominally priced at INR 15, cheese lovers can enjoy this treat at INR 30. It's time you move beyond pani puri and sev puri and make way for this winner. Yummy Pav Pattice At Borivali!